A new restaurant is moving into the space that used to house Toby Keith’s I Love This Bar & Grill in Foxborough. 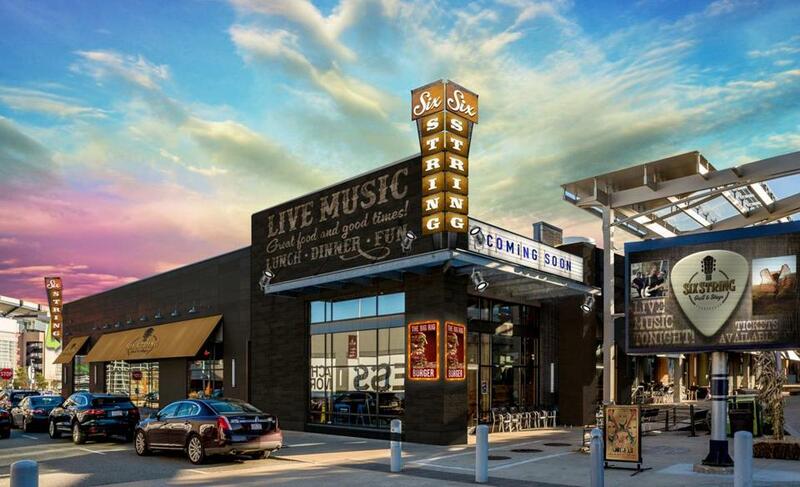 Six String Grill & Stage, which is described on its Instagram page as “a little country, a little rock n’ roll,” is set to open this summer in the space that used to house the popular watering hole at 275 Patriot Place. Six String will be a full-service restaurant and music venue, with a spotlight on Southern food and country music. No exact opening date was given, except for a target of summer 2019. The restaurant will be run by The Briar Group, which runs several well-known Boston-area bars like Ned Devine’s, The Green Briar, The Harp, Sólás, and M.J. O’Connor’s, among others. “Six String is committed to bringing a high-quality entertainment and dining experience to our guests and we are excited to see how the team will transform this venue to deliver an experience that will cater to all music fans,” said Brian Earley, Patriot Place’s vice president and general manager.